Summer can definitely make things uncomfortable at home. To beat the heat, many households turn to their cooling systems. With that constant reliance on AC units during summer, it may be possible that you’re experiencing higher energy costs. Most people are looking for energy-efficient solutions that can help keep homes cool and energy bills low. Leaving ceiling fans can help keep rooms coolers – Fans function by circulating air, which creates a breeze. If the room is already hot, the temperature will not likely change but your perception of the temperature will, only if you are in the room. A ceiling fan running in a hot empty room will not provide any cooling effect. In fact, it may add to your energy costs. Setting cooling systems to a lower temperature can cool the home faster – Thermostats work by directing your cooling system to reach your preferred temperature, and will then turn off. The thermostat will turn on again if it senses a change in temperature. That only means setting the thermostat at a lower temperature won’t help cool your home any quicker. You could be just wasting energy. 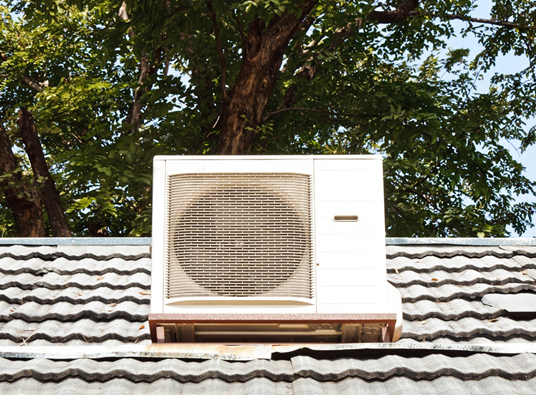 Only air conditioning units can help beat the summer heat – Yes, air conditioning does feel great, but there are other ways of cooling your home. You can try opening and closing windows at the right times – if you open them during the cool night, make sure to close them before the day starts heating up, typically around sunrise. You could also benefit from more trees on your property, or try improving attic insulation. Insulation not only keeps your home warm during cool weather but can help keep cooled air within your home and reduce the stress on your cooling systems. This will help lower your energy costs while allowing your home to remain cool and comfortable. Solar roofing fans, on the other hand, can help further by balancing exterior temperatures and keep your attic free of moisture. With Tedrick’s Roofing Solar Blaster™, you can help improve attic ventilation while getting rid of trapped heat and moisture. Whenever you’re looking for energy-efficient solutions to keeping your home cool in summer, you can trust Tedrick’s Roofing for your attic insulation, solar fans, and roofing in Federal Way, WA. We can provide you with the right solutions that will keep your home comfortable and your energy costs low. Don’t believe those energy efficiency myths any longer. Get the real solutions to your energy woes by consulting Tedrick’s Roofing. Learn more about what we can do by calling us today!